When it comes to free to play online games you are bigger and get more players than MMORPGs, there is something about stepping into a new world, playing as someone else and finding your own adventures that has gripped the gaming community for almost 20 years since the likes of Ultima Online (1997) and EverQuest (1999) were first released. It’s probably safe to say that very few PC gamers haven’t at one time or another tried out an MMORPG, many of which jumped from game to game as they are released where some stick with the game for years playing the never-ending updates and added content. Many MMORPGs fall into this free to play category, though there are some that focus on the pay-to-play business model, requiring a purchase of the game and then free online play (Guild Wars 2), some try more novel approaches where players can either pay a subscription or can earn in game currency to pay for the game each month (EVE Online, Wildstar). Only a small handful have managed a purely game purchase and paid subscription model, World of Warcraft being the obvious choice, but even the likes of Star Wars the Old Republic (which features on this list) tried to go down this route before switching to the F2P model, which is what we’re focusing on here. So here are some of our favourite F2P MMORPGs currently available that, even if a few years old now, always appear to make lists like this due to what they offer. Lineage II is the oldest MMORPG on our list released originally in South Korea on October 2003 and later released in North America on April 2004, it’s a fantasy epic that which always works its way onto these lists. The game is dated, the graphics could do with some serious upgrading, but as far as gameplay goes it is a classic that is still retained a massive player base after over a decade, in large part due to its loyal Asian players. So popular is the game that the spiritual sequel Lineage Eternal, which has yet to have a release date, died pegged to being a huge hit when it finally goes live. Another game that first saw release in South Korea, back in 2008, was Aion: The Tower of Eternity, released in North America, Europe and Australia in September 2009, which made it the bestselling PC game at that time, and is another staple of the MMORPG genre. The key feature of Aion the widely popularised it was the ability to fly in free-form 360° movement, something that to this point hadn’t really been explored. The game is still going strong and is still receiving updates and patches adding new content and classes to the game. 2011 was the year for MMORPGs with a huge selection to choose from players were spoilt for choice with the release of The Exiled Realm of Arborea (TERA), Rift, DC Universe Online, Forsaken World and Star Wars: The Old Republic in particular, all of which have made our list. TERA is a fully fledged MMORPG complete with a class based character system, crafting, questing and PVP with action-based combat gameplay and a massive seamless world to explore including open world combat giving an exciting edge to normal questing and travelling. The game developers got some help from CCP Games (the developers of EVE Online) to introduce the same PLEX currency that it used where players can earn game time by collecting in game “Chronoscrolls” to originally pay for the monthly subscription. However, in 2013 the game went down the increasingly popular “freemium” option where players can join the game for free but miss out on some of the features and less the purchasing premium account. 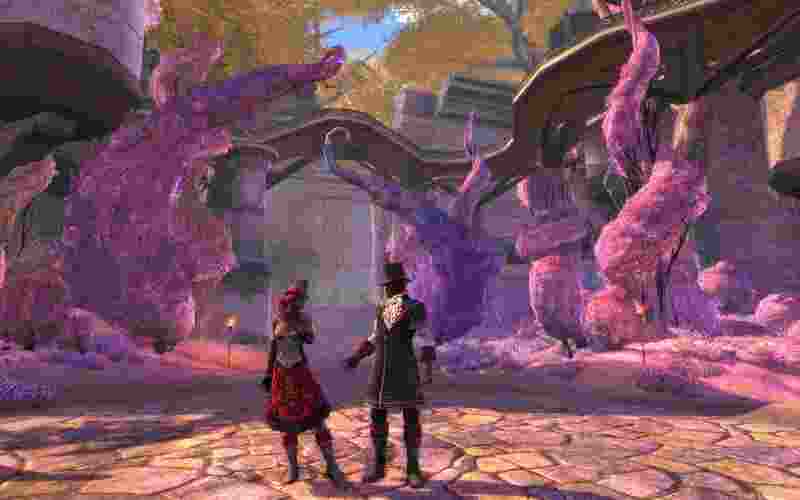 Given the time of release and similar fantasy themes TERA is quite comparable with Rift, a similar fantasy-based MMORPG that offers all the trappings that one would expect, but focusing more on a faction based conflict where to rival factions are locked in an endless battle. The main premise of the game are the Rift portals that open around the lands of Telara that spawn own manner of invading creatures into the world and players must defeat these enemies to close the rifts; if left unchecked these invading creatures actually occupy large portions of the map. In 2013 rift finally went fully free to play. Forsaken World was the release from Perfect World (albeit it actually launched in 2010 but reached North America and Europe in 2011), the publishers that focuses specifically on free to play MMORPGs. Another Asian MMORPG with a similar anime graphical style to some of those games that came before it the game offers another foray into a world of fantasy and magic. Games and try to redefine the genre but what it does it does very well creating a solid MMORPG that offers up strong PVE questing and the scorer of social and chapter features; in at genre were World of Warcraft dominates the series to see the comparison when playing Forsaken World. 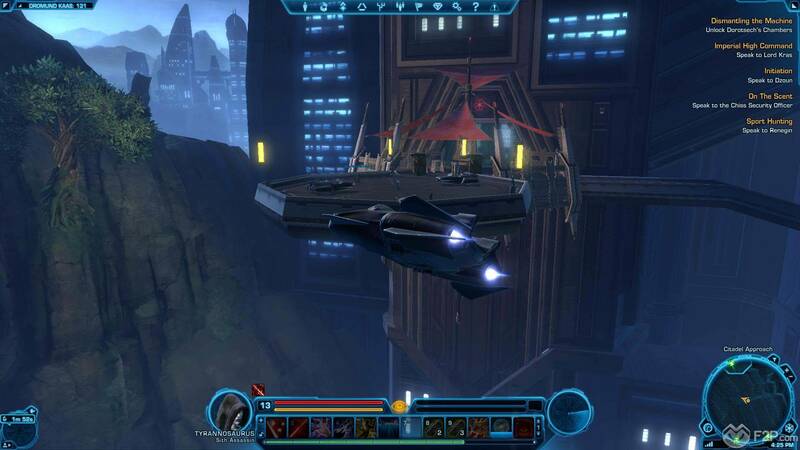 Our two other MMORPGs for 2011 are both extremely popular franchise titles; DC Universe Online and Star Wars: The Old Republic. Of the two with say that SWTOR probably created the biggest buzz, many fans of both the Star Wars games including the previous MMORPG Star Wars Galaxies (Sony Online Entertainment) once more offered players the chance to step back into George Lucas’s Galaxy far far away. The game was developed by BioWare who had created the previous single player Star Wars: Knights of the Old Republic as well as other big RPG titles such as Baldur’s Gate, Neverwinter Nights, Mass Effect and more and was offering up a new online RPG experience with all the classic MMORPG features and more (AI companions, fully voiced NPCs). The game launched as a subscription-based MMORPG, presumably with a Star Wars franchise in its hands seeing it as a golden goose, but whilst receiving largely positive reviews and accolades saw a huge drop in players, which was ultimately recovered in the game went freemium in Nov 2012 where players could individually purchase the features they wished to access in the game and still supporting an “all access” subscription model. 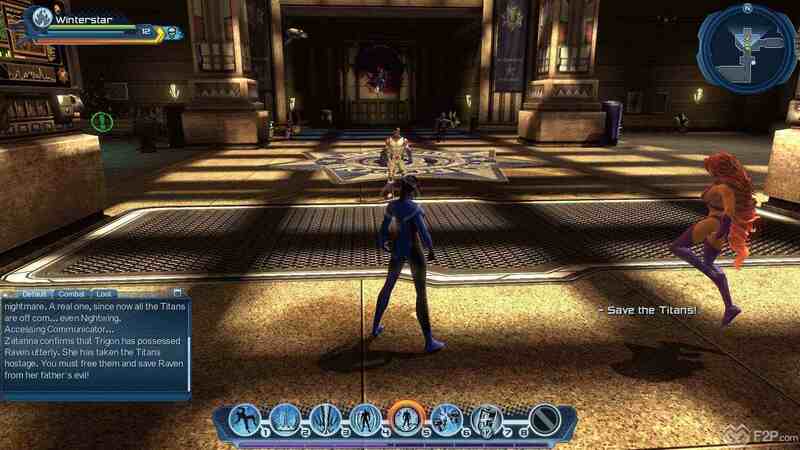 DC Universe Online also allowed fans to step into the familiar setting, allowing them to visit such locales as Gotham City, Metropolis As Well as other well-known places from the comic books, cartoons, movies and TV shows. Players are able to play as the good guys under the supervision of Batman, Superman and Wonder Woman or as a villain helped along by Lex Luther, Joker or Circe. The game had an extremely detailed storyline that fits well with the current canon lore of the DC Universe whilst allowing for the sudden appearance of new heroes and villains into the world. DC Universe is a fun game with great questing elements and sandbox exploration, featuring an extensive cast of heroes, villains and supporting characters. In 2013 we saw the release of Neverwinter, again published by Perfect World, and developed by Cryptic Studios who had previously developed the hugely successful Star Trek Online. With STO in the bag and support on a winding down cryptic ray able to fill everything they had into the new Dungeons & Dragons title and incorporating what they had learned with STO into the game as well as its amazing Forge system where players could create their own instanced based dungeons and quests complete with traps, monsters and quests giving NPC’s. With games such as Baldur’s Gate (from the same D&D Forgotten Realms setting as Neverwinter) and Neverwinter Nights (also an MMORPG) the game offers the next step back into the setting that tabletop RPG gamers have loved for years. A month later after Neverwinter we saw the first release of Age of Wulin / Age of Wushu, action-based MMORPG, once more from China, the game focus on a “wuxia” inspired style story of ancient martial arts clans (think the film Crouching Tiger: Hidden Dragon). Players get to fight in one of eight different factions, focusing on levelling up their character and learning new skills and combat manoeuvres in a classless MMORPG with PvE and PvP focused gameplay. The game offers some unique features such as being able to kidnap players and sell them and putting players in prison for committing crimes.